Donald John Trump is rightfully happy with the state of the national economy. The stock market is setting records. Joblessness is low. More jobs are being added to non-farm payrolls. Consumer and business confidence is high. That’s all great, Mr. President. The president talked about all of that today as White House chief of staff John Kelly reported for work on his first day in the West Wing. Here’s the deal, though. The trend the president cited is a continuation of the “mess” he supposedly inherited when he took over this past January from Barack H. Obama. Didn’t the one-time Republican candidate for president trash the daylights out of President Obama’s stewardship of the nation’s economy? Didn’t he cite sluggish GDP growth as part of that so-called “mess”? I’ll give the president credit, though, for a recent Commerce Department report that ticked up GDP growth a bit past its original estimate. For that, the president can take some measure of credit. * National security adviser Michael Flynn is forced out after 24 days. * White House communications director Mike Dubke resigned after five months on the job. 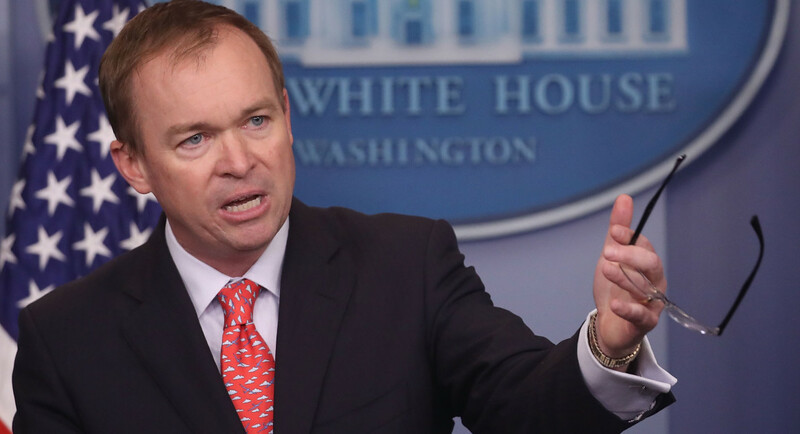 * Sean Spicer quit after six months as press secretary when the president hired Dubke’s successor over Spicer’s expressed objections. * Reince Priebus is forced out as White House chief of staff after seven months, the shortest tenure in history. * Anthony Scaramucci gets the boot as the new communications director after just 10 days, setting another record for public service brevity. Five top White House staff members are out the door. And yet … the president once called his administration a “fine-tuned machine” that has been the most productive administration in U.S. political history. All that productivity has resulted in precisely zero major legislative accomplishments. Republicans now control the White House in addition to Capitol Hill. They wanted to toss out the Affordable Care Act, but failed, with little expectation now that they’ll be able to accomplish their No. 1 mission in life. You may choose to believe or disbelieve my next statement, but I’ll make it anyway. I do not wish failure on this administration. I am trying to take the higher road than the one taken by some right-wing radio talk show blowhards who wanted President Barack Obama to fail during his two terms in office. However, the president needs to stop telling us lies about fine-tuned machines and all that alleged productivity. All roads leading to the White House are strewn with wreckage. The task now falls on the new White House chief of staff, John Kelly, to clean it up. Donald John Trump Sr. welcomed new White House chief of staff John Kelly to his post this morning. 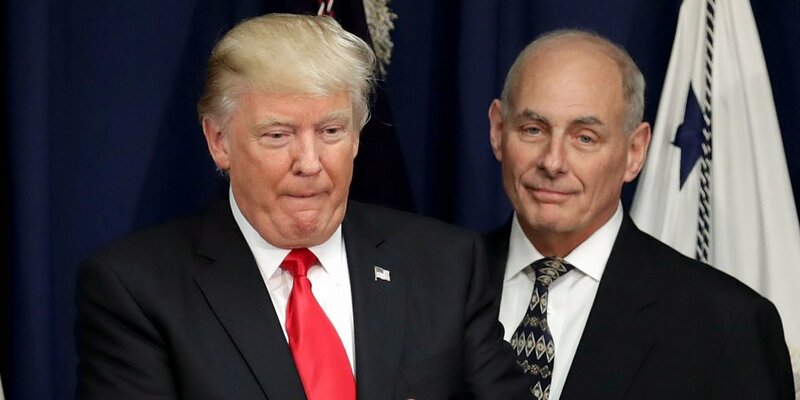 The president predicted that Kelly would do a “spectacular job” in the West Wing. I’m going to presume a bit here, but it looks as though the new chief of staff is off to a rip-roarin’ start. 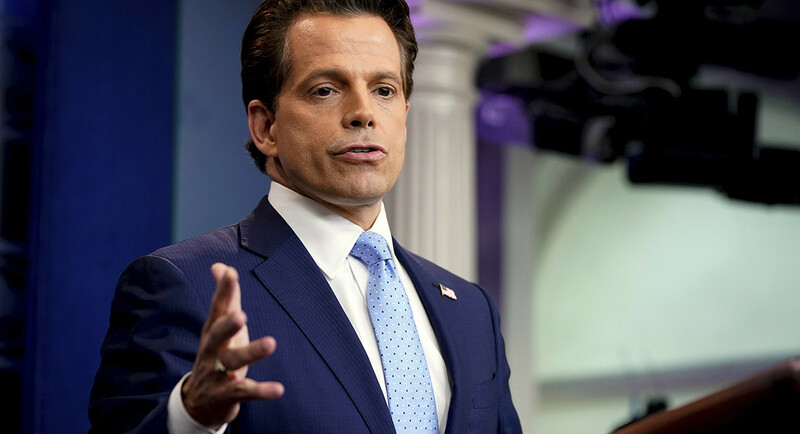 Within hours of being sworn in, Kelly got the president to give White House communications director Anthony “Mooch” Scaramucci the heave-ho — 10 days after Trump hired him! There’s no nice way to say this, but Mooch conducted himself like a maniac in his White House job. He has no comparable experience that would have commended him for the job and, oh brother, it showed. Kelly brings an entirely different skill set to his chief of staff job, which he assumed after Reince Priebus got the axe this past week. Kelly is a retired Marine Corps general; he has 45 years of service in the military; he is a combat veteran — and a Gold Star father, having suffered the terrible tragedy of losing a son in combat in Afghanistan. The president’s prediction of a “spectacular” performance by his new chief of staff was delivered quickly by the new guy. Gen. Kelly has a long, steep mountain to climb before completing the task of converting the White House from an Animal House into a “fine-tuned” center of government operations. His first full day at his new post suggests he is up to the task. Then again, it’s only been a day. Gen. Kelly still has yet another wildfire to control. That would be the president of the United States. Winning is such a miraculous balm. It cures the deepest pain among the most ardent followers of sports teams. Consider what occurred in Chicago, which welcomed a World Series championship this past year when the Cubs defeated the Cleveland Indians. Do you remember a guy named Steve Bartman? 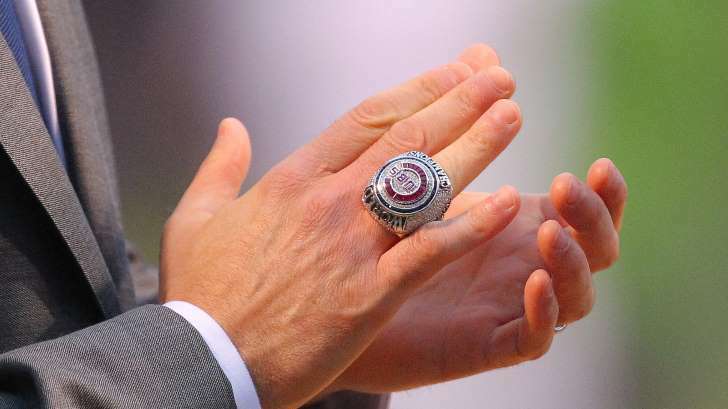 He was the fan who was sitting along the left-field wall in October 2003; he reached out over the field and disrupted the Cubs’ Moises Alou, who was running to catch a popped-up baseball. Had Alou made the catch, the Cubs — who were leading at that moment — would have been just four outs from winning the National League Championship Series playoff game against the Florida Marlins. He didn’t, thanks to Bartman’s interference. The Marlins won the game — and the pennant. The Cubs would be denied their first NL pennant since 1945. Bartman has been scorned ever since. He has kept the lowest of profiles. As the late Vince Lombardi once said, “Winning isn’t everything; it’s the only thing.” In this case, it turns out to have been the only way for the Cubs to demonstrate they had no hard feelings toward one of their more ardent fans. I happen to think the Cubs did something very cool. Is the Trump-Putin bromance over … finally? Donald John Trump Sr. and Vladimir Putin once were thought to be made for each other. One of them is a tough guy; the other seems enamored of tough guys. Putin is the former; Trump would be the latter. Now, though, their relationship has taken a turn for the worst. Congress enacted a tough new sanctions protocol against Russia — as well as against North Korea — that prohibits the president from scrapping them without congressional approval. Trump says he’ll sign the sanctions bill. 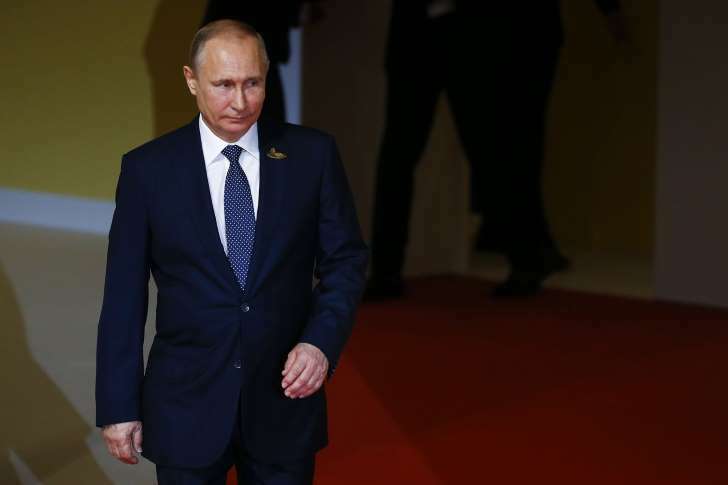 Putin responded this weekend by ordering the removal of 755 American diplomats from Russia, dramatically reducing the U.S. presence in that country. The Russian president seems to think his response is equivalent to the U.S. expelling of 35 Russian diplomats in retaliation for the Russians’ meddling in our 2016 presidential election. It’s not at all proportional. The question remains: Will the U.S. president stand firm or will he roll over? Trump has been maddeningly reluctant to call the Russians out for their interference in our election. He keeps equivocating by suggesting that “it could be anyone” other than the Russians. He dismisses U.S. intelligence agencies’ assessment that the Russians acted alone. Will see how this plays out. My hope is that Trump awakens from his infatuation with Putin and concludes that the Russians aren’t our friends — and that the two leaders have wildly differing views on their personal relationship. Some issues give me heartburn, particularly when they contain no easy solutions or options for those of us affected by them. Highway, street and bridge construction fall into that category. 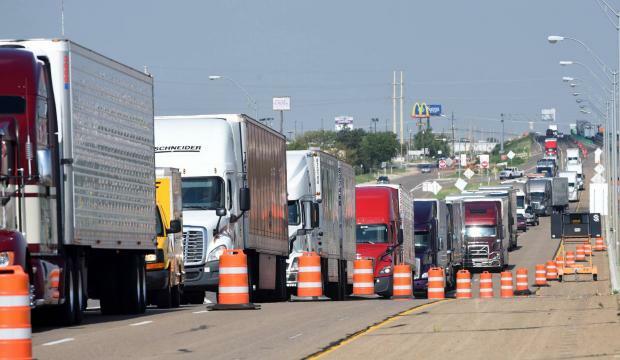 I’m hearing some grumbling about a major reconstruction project underway here in Amarillo, Texas, that is causing grief for motorists and business owners nearby. The Texas Department of Transportation is knocking down a bridge that spans Interstate 40 at Bell Street. It’s causing serious traffic disruptions. The project will take months to complete. The bridge will be inoperable until November, according to the Amarillo Globe-News. The state is spending more than $7 million on just that project alone! Oh, and then we have that Loop 335/Hollywood Road reconstruction project on the south end of the city. How do the city’s residents and business owners cope with this madness and mayhem? With extreme patience, I venture to say. Whether this kind of work is being done in a mid-sized city such as Amarillo, or in a major metropolitan area, or even in a small rural community, someone, somewhere is going to get upset. Just the other day, I was running an errand that took me from my southwest Amarillo home to a location near Sunset Center. I drove north along Coulter, hoping to catch the freeway east to Western Street. That’s when I discovered the work being done on I-40. Crews were diverting every vehicle off the highway onto the frontage road. If I had been smarter and more attuned to what’s going on around the city, I would have taken Wolflin Avenue east from Coulter to my destination. I didn’t. I got stuck in traffic. Lesson learned for the next time I have to travel in that direction. I tend to avoid getting too worked up over these highway and street projects. I try to see it as a glass-is-half-full deal. I like to look at the big picture, take the long view. When it’s done, we’ll have a new bridge to cross when we travel north-south along Bell Street. I just hope the new span will lend some aesthetic quality to the highway. Heaven knows the city needs it. I want to offer a good word or three about today’s Republican Party. Yes, I’ve been beating them up a good bit of late. The GOP has deserved the drubbing. However, I want to speak to something that became evident after Donald John Trump Sr. tweeted out his decision to ban transgender Americans from serving in the armed forces. 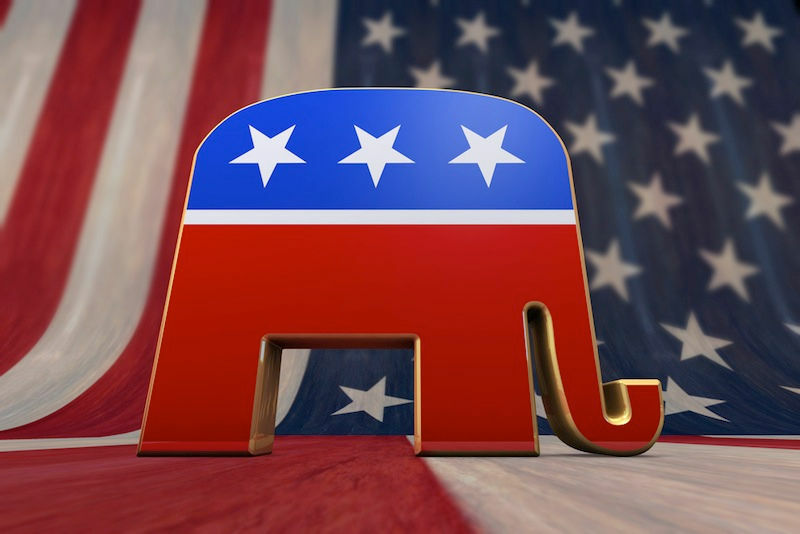 The Republican Party has exhibited a profound sense of diverse thought on that issue. Then came the push back from other notable Republican pols. Many members of Congress expressed disappointment and dismay that Trump would use Twitter to announce such a staggering policy shift. Then came a highly personal statement from U.S. Sen. Orrin Hatch, the Utah lawmaker known as one of the Senate’s more conservative members. Transgender individuals do not “choose” to change their sexual identity, Hatch said. “They are born that way,” he added. Sen. Hatch said it is unfair to hold that against them. The GOP has demonstrated considerable diversity as well in this debate over whether to repeal the Affordable Care Act. The moderate wing of the Republican caucus dislikes many of the provisions contained in the GOP-authored bill; it cuts too much from Medicaid, for example. 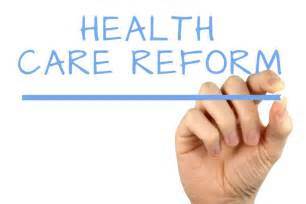 The TEA Party/conservative wing of the caucus dislikes the overhaul because it doesn’t go far enough in repealing the ACA, the signature legislation authored by Democrats during the Obama administration. Democrats, meanwhile, speak with a single voice on those and many other issues. It must be Democrats’ universal disdain for Trump and the fact that he managed to win the 2016 presidential election against Hillary Rodham Clinton. Believe me, I understand their anger on that one! However, the Republican Party has shown itself to be more willing to expose its differences in the months since Trump became president. For that, I applaud Republicans. Oh, and yes, the stalling of the Trump “agenda” — whatever it is — has played a key part in earning my praise. Douglas Brinkley and I are on the same page, we’re singing off the same song sheet, we are of like minds. There. I don’t intend to cast myself as a knowledgeable presidential historian in the mold of Brinkley, but he has said out loud what many of us across the land have believed all along. It is that Donald John Trump Sr. is “unfit for command.” He is not fit to hold the office he occupies. The president of the United States is in hopelessly over his head, out of his depth. I must point out that Priebus was still the chief of staff when Mooch made that ghastly assessment. The president booted Priebus out of his job a few days later. What kind of head of state and head of government allows an underling to use that kind of language in public to describe a fellow federal staff member? What kind of man tolerates that kind of behavior? Donald John Trump Sr.’s next potential display of heartless public policy would hit yours truly a good bit more personally. The president is now considering whether to end government subsidies of health insurance plans until Congress repeals the Affordable Care Act. Such a move would render health insurance utterly unaffordable for millions of Americans. I happen to know that because our household benefited greatly from the subsidy. 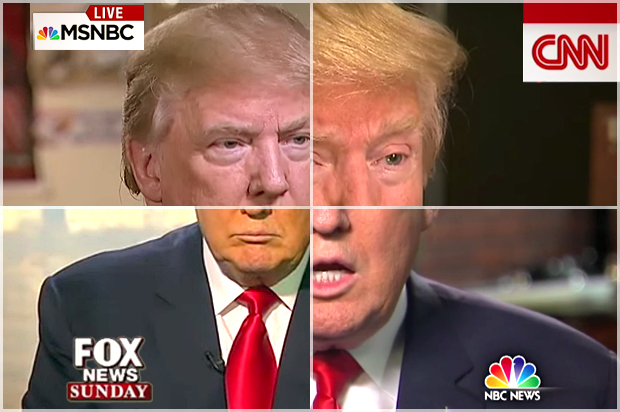 Does the president have a clue as to what he’s pondering? Does he have any feeling in what passes for a heart for those who would be affected by a decision to pull the plug on these subsidies? My wife and I had to purchase health insurance to cover my wife after her post-employment insurance plan expired. The ACA required us to purchase it under the “individual mandate” provision. We sought counsel with our insurance agent, who shopped around for a provider who could cover us. She found it and then we applied online — through healthcare.gov — for the subsidy; we got it approved and my wife was able to be covered by health insurance under the ACA. That policy expired the day she became eligible for Medicare. But the point here is that if Trump decides to end the ACA subsidy, he is going to deprive millions of Americans — just like my wife and me — of an opportunity to purchase health insurance. This is how Trump is proposing to let the ACA “implode”? At what cost, Mr. President? So help me, Donald Trump Sr. disgusts me to my core.